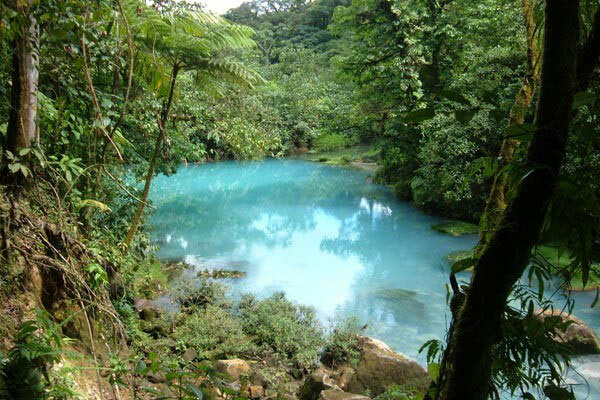 The hiking tour to Rio Celeste Waterfall from Arenal start early in the morning, at 7:00 a.m. and we take the route to Rio Celeste, we’ll arrive at the Tenorio Volcano National Park around two hours later, were we’ll begin our 5 miles hike (approximately 4 hours) through the dense, lush, tropical rainforest that surrounds the Río Celeste National Park. 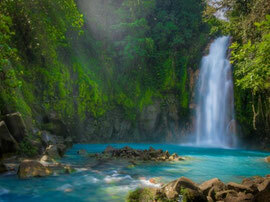 This hiking through the Tenorio Volcano park and Rio Celeste Waterfall is considered intermediate. 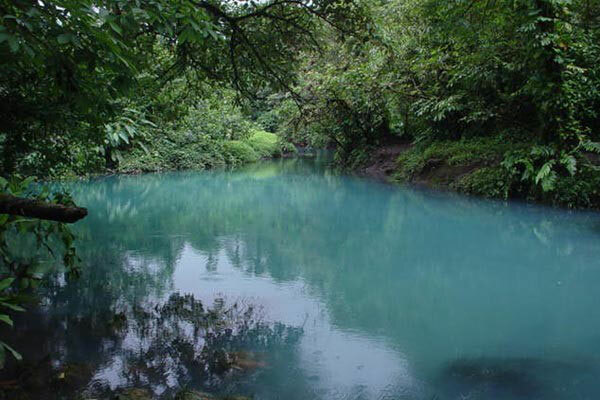 You will visit “Los Teñideros” of the Rio Celeste, the site where two streams of crystalline water come together and form the heavenly color blue that gives the river its name. 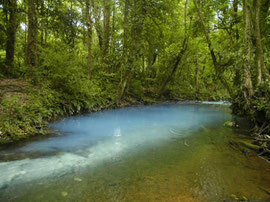 We’ll continue our hike through the jungle to seek out the volcano’s furnace vents that expel gases of extreme high temperatures. 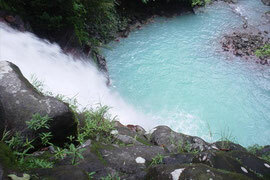 On our decent we will get to see the spectacular Rio Celeste waterfall whose color makes it one of a kind! Arrival time: 4:30 p.m. aprox. 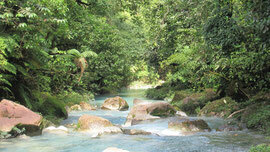 Transportation from and back to your hotel at Arenal Volcano area, naturalist guide, beverages, lunch and entrance fee to park. Recommended: For people in excellent physical shape. 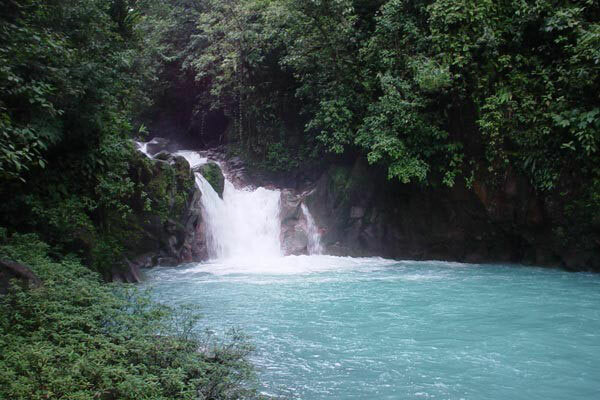 The Río Celeste waterfall may lose its blue color during rainstorms. The day of the tour we check if it is raining in the area and offer the tour for the following day or change to a different tour according the weather.